Today’s fiber networks integrate long-haul, metro and fiber-to-the-premises (FTTP) applications, making OTDR versatility a must. While long-haul architectures require high dynamic range values to reach greater distances, FTTP links demand an OTDR delivering good resolution (short dead zones) due to the proximity of many connection points. Up to now, OTDR users had to compromise on one or the other and buy two units—a choice that they no longer have to make. 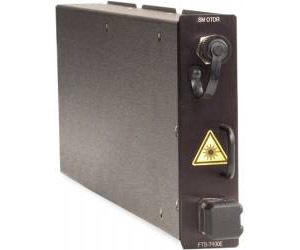 The FTB-7400 OTDR is 40 Gbit/s ready. The new FTB-7400E OTDR combines EXFO’s renowned optical performance and unparalleled software analysis with both short dead zones and high dynamic range values, delivering the versatility needed to test long-haul, metro and access links with a single OTDR.